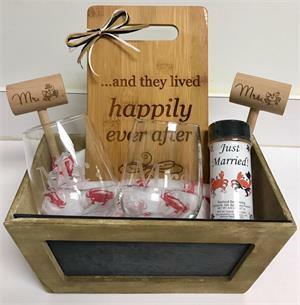 What a great gift for the new bride and groom! 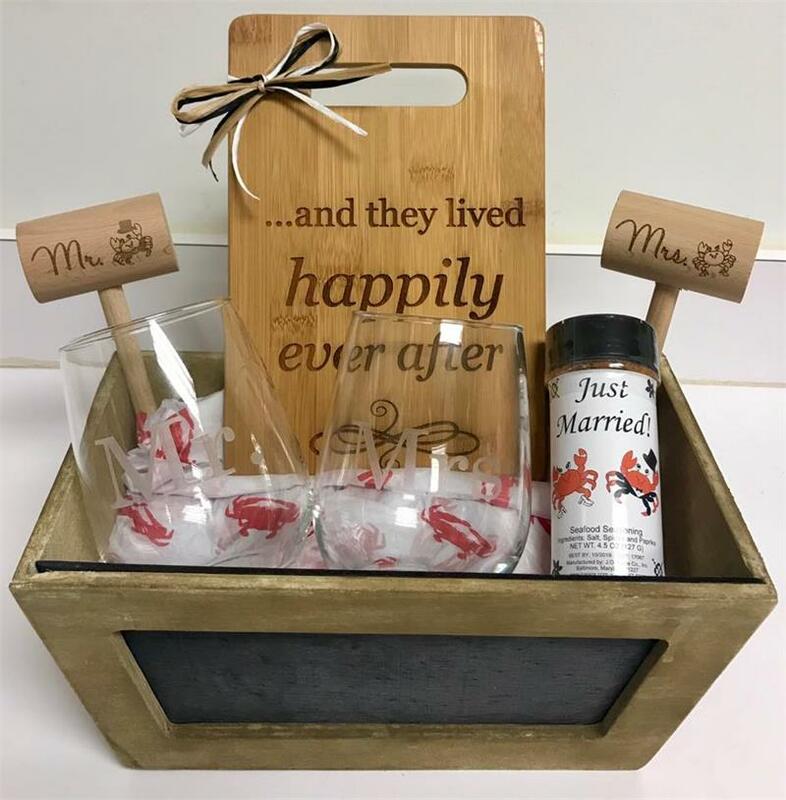 The chalkboard Crate can be customized with a message or the name of your recipient. The gift set will come wrapped with ribbons! Customize your own set for additional personalization. This is just an example! Add more or less to fit your budget.